Inna has received numerous awards and designations. A Picnic that Inna has sponsored for newcomers to Winnipeg. 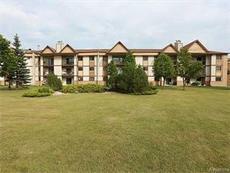 Condo Listing: $224,900 193 Victor Lewis Drive Wpg R3P2A3 3Beds, 1Bath, Built in 1989. 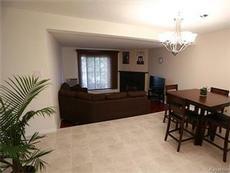 Rarely available 3 bedroom 1.5 bath unit in Luxurious Lindenwoods Village!!! This 979 sf condo is move-in ready & exclusively located in the corner of the building. A well appointed kitchen & large dining room is what will greet you upon entering. Real estate agent Inna Loewen of Royal Le Page, a close friend of the Jewish community who came to Winnipeg over 23 years ago from the former Soviet Union, is pleased to volunteer her time to help potential newcomers to the Jewish community who come to Winnipeg from Israel on exploratory visits. "I meet with a lot of Israelis who are on exploratory visits to Winnipeg and explain the real estate market to them and show them around the city. There are many who want to rent apartments or rent houses and I help them find suitable accommodation. I am in touch with them when they are in Israel even before they make the move so that when they land in Winnipeg I meet them with keys in hand ", Loewen says. "Making a move can be a very difficult, emotional time for new immigrants and and I try to help them by finding a rental apartment or house that suits their needs," Loewen adds, noting that she has lived the experience of being an immigrant herself. Loewen, who has been a real estate agent for nineteen years, says she find "volunteering to help new immigrants find rental accommodation in Winnipeg very rewarding." She is not paid for this service but knows that the immigrants she helps greatly appreciate havng suitable rental accommodation when they arrive to start their new life in Canada. "Many of the newcomers to the Jewish community I meet rent apartments in River Heights. They usually buy homes not in River Heights but in areas such as Lindenwoods, Charleswood, and Whyteridge where they can get newer and relatively larger homes for the same dollar ," Loewen notes. Loewen, who was born in Kiev, speaks Russian and English and knows some Hebrew. She ended up moving to Winnipeg almost 24 years ago when she met Winnipegger Harry Loewen in Europe. Several years later, her parents moved to Winnipeg. "Newcomers find it valuable to hear my perspective since I have been in the city for such a long time. When I came to live in Winnipeg it was at the time that the Soviet Union was collapsing and most Jews from there were moving to Israel. When I was leaving the USSR, many of the Jews now coming to Winnipeg were coming to Israel." Loewen predicts that most of the Israeli immigrants to Winnipeg will end up staying here. "Many of them are involved in high tech and they get good jobs here and buy nice homes. I have become friendly with many of them. What I am hearing from them is that they like the lifestyle here in Winnipeg compared to Israel because they have more free time after finishing their work day to play with their children and take their children to activities. In Israel they worked longer hours, had less free time to be with their kids and grandparents had to help raise the kids since parents worked so much. They really appreciate the family life they have in Canada," she explains. Loewen says that when some of the new immigrants she has met want to buy a home , they contact her. "I get a lot of referrals by word of mouth. My clients recommend me to their family and friends. I also sponsor picnics and parties for newcomers to the Jewish community with other sponsors, and I meet many newcomers this way." One of the listings that Loewen currently has is a three bedroom condo in Lindenwoods that "would be good for a family or as an investment to rent out." 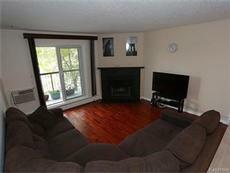 The attractive condo is very affordable with an asking price of $224,900. Loewen also is a sponsor of the events of the groups "Friendly Russian Manitoba” as well as “Social Network of Manitoba,” where she does " real estate podcasts for Russian speaking people already in Winnipeg or planning to move into Winnipeg or the Manitoba region."